After the delivery of a first demonstrator in 2017, the project partners now announced the second hybrid CMOS/MSS-MRAM 180nm Tape Out at Israel-based Tower Jazz. The project partners designed four ICs to validate Analog IP blocks and an ultra-low power MCU comprising a hardware security block. 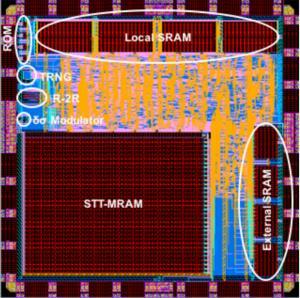 The next phase of the project is test all the IC and characterize the hybrid CMOS/MRAM process. Results are expected by the second quarter of 2019.